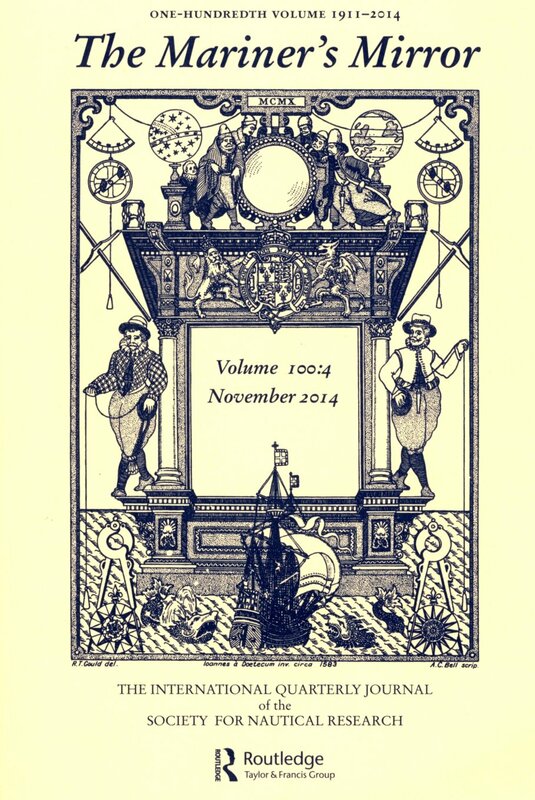 The Mariner’s Mirror is the international journal of the Society for Nautical Research. It has been published since 1911 and is recognized as the world’s leading journal of naval and maritime history. 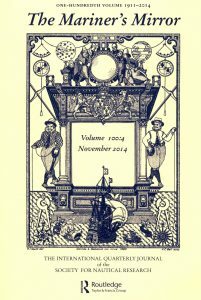 The content reflects the aim of the society and publishes ‘research into matters relating to seafaring and shipbuilding in all ages among all nations, into the language and customs of the sea, and into other subjects of nautical interest’. Subject matter ranges from archaeology and ethnography to naval tactics and administration, merchant seafaring, shipbuilding and virtually anything that relates to humankind’s relationship with the sea. 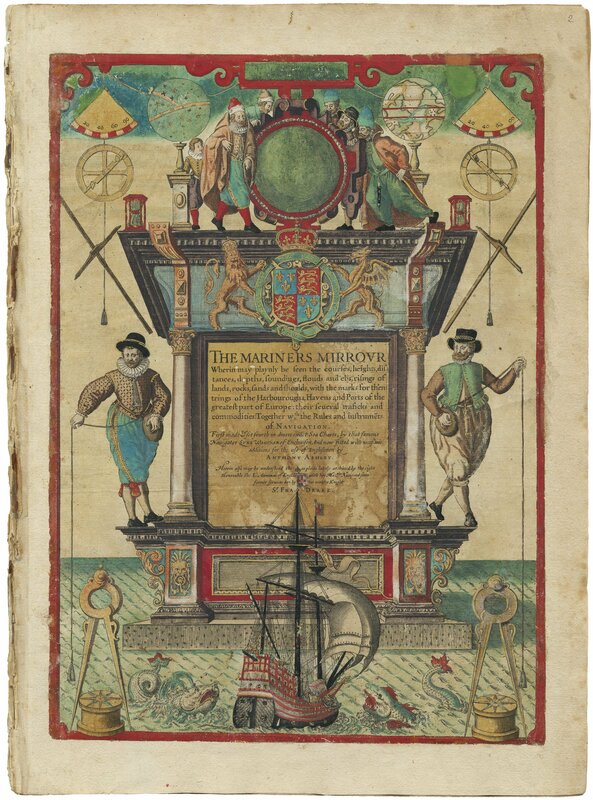 The Mariner’s Mirror takes its name from Lucas Janszoon Waghenaer’s nautical chart-book Spieghel der Zeevaerdt or ‘Mariner’s Mirror’, first published in 1584. The cover illustration is taken from the frontispiece of the English translation of 1588. The Mariner’s Mirror is published in partnership with Taylor & Francis. It is published quarterly in print and online. Vew contents of the current issue. The Mariner’s Mirror has a proud tradition of promoting the work not just of established academics and professionals but also talented and enthusiastic independent scholars and budding new researchers from all walks of life. The Honorary Editor welcomes new submissions. Please read the Notes for Contributors and Style Guide before making contact, marinersmirroreditor@snr.org.uk. Publishers wishing to submit books for review should contact the Mariner’s Mirror Reviews Editor at innes.mccartney@snr.org.uk for further information. 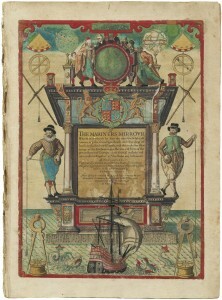 The Mariner’s Mirror is a fully refereed journal. It is ranked by the European Reference Index for the Humanities as an INT1 journal (the highest classification), which has internationally recognised scholarly significance with high visibility and influence among researchers in different countries and is regularly cited all over the world. Editorial policy is governed by the Editorial Board, which is made up of distinguished international scholars with expertise across the broad areas of the journal.